North Carolina has one of the highest rates of child poverty in the U.S., Kidcycle cofounder Michelle Old tells the Herald-Sun. 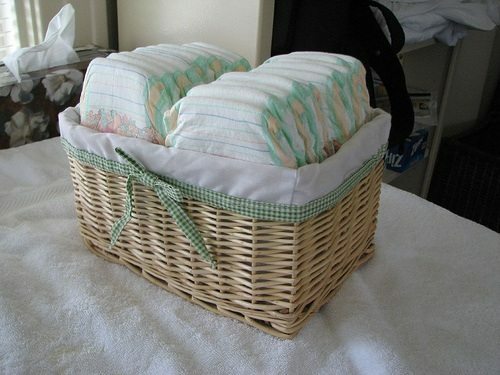 Although the issue doesn’t receive much attention, this leads to babies and young children lacking access to clean diapers, according to Kidcycle cofounder Michelle Old and Winnie Morgan of Durham’s Partnership for Children. Now, Old will be the executive director and Morgan will be president of the board at a new nonprofit, the Diaper Bank of North Carolina. A family’s lack of diapers can come with steep consequences. Babies cannot be left at childcare facilities unless the parent leaves a full day’s supply of disposable diapers, a cost that can add up to $100 a month per child. Many of the currently funded safety net programs do not include diaper costs. As such, in some low income households, babies and toddlers often spend the entire day or longer in the same diaper, the Herald-Sun reports. This can lead to another harsh consequence: wet babies are often crying babies, and prolonged crying may increase a baby’s risk of abuse by caretakers.